Home » Blog » Arcadia! Eat More Fish To Prevent Gum Disease! Who could have guessed? New research is linking diets high in polyunsaturated fatty acid (PUFA) with a lower risk of gum disease, or periodontitis. At Premier Dental Esthetics in Arcadia, the lesson seems clear: eat more fish. Gum disease is an issue for millions of Americans. When gum tissue pulls away from a tooth, it forms a pocket. This pocket is a warm, moist place for bacteria to flourish. If gum disease (periodontitis) goes untreated, the tooth and jaw bone are at risk. During dental examinations, I carefully measure gumline pockets and examine all teeth for gum disease. The new research says that people with diets rich in PUFAs were up to 30 percent less likely to have gum disease than those who ate little or none of that type of fat. 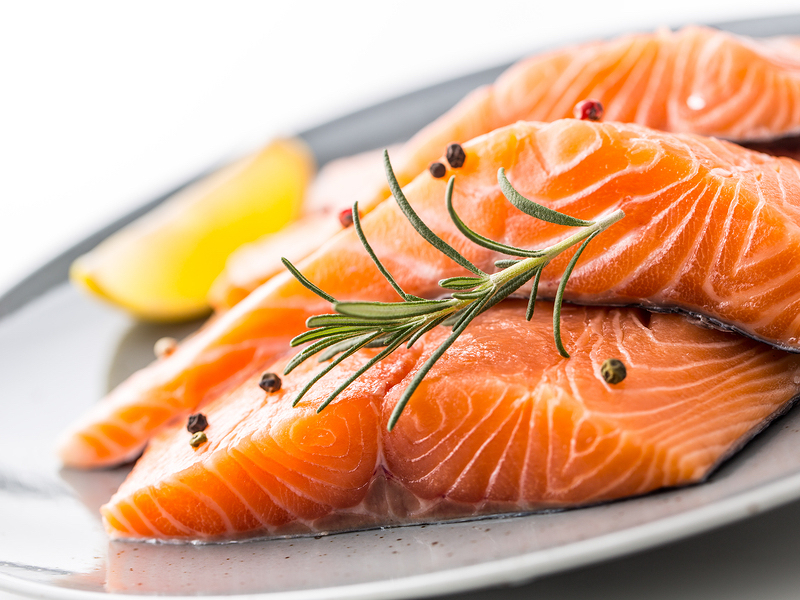 Foods high in PUFAs include salmon, tuna, trout, mackerel, sardines, herring. PUFAs can be found in certain vegetable oils, too. These include safflower oil, soybean oil, corn oil, sunflower oil, and margarines made from them. Almonds, pine nuts, walnuts, pecans, brazil nuts, pumpkin seeds, sesame seeds, sunflower seeds and flax seeds are also high in PUFAs. The possible prevention of gum disease is not the only reason to eat high PUFA foods. These foods pack a nutritional punch and have many health benefits. The next time you are stocking up at the grocery store, you may want to add some salmon and walnuts to your list. Diet alone will not treat or prevent gum disease. It’s essential to have a good dental health routine that includes daily brushing and flossing, and regular trips to the dentist. If it’s been a while, schedule an appointment with Premier Dental Esthetics in Arcadia. We provide family and cosmetic dentistry.